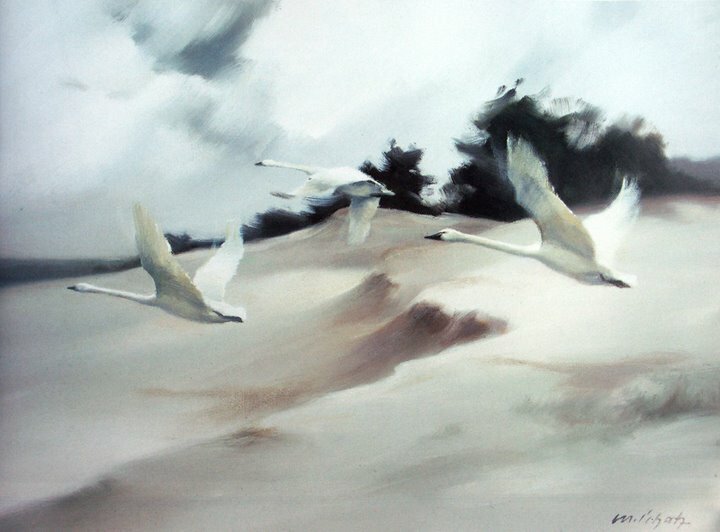 manfred schatz was born in 1925 in the eastern part of germany. 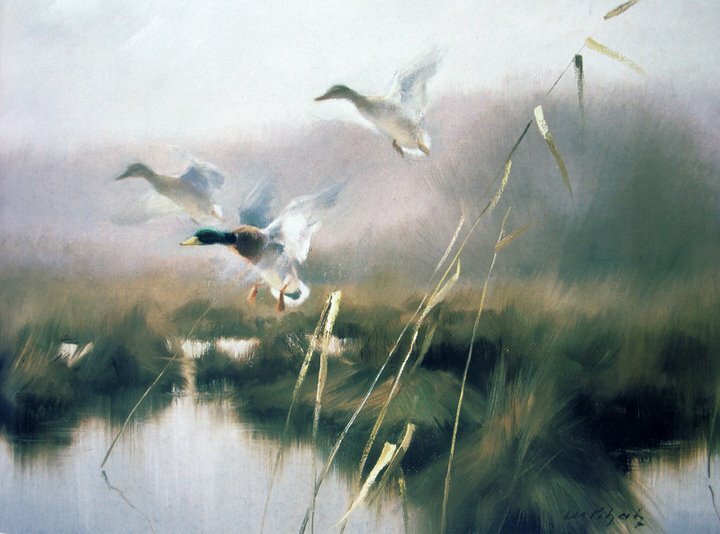 he became one of the most respected wildlife painters and his work is in exhibitions in numerous museums around the world. in 2004 he died near duesseldorf. 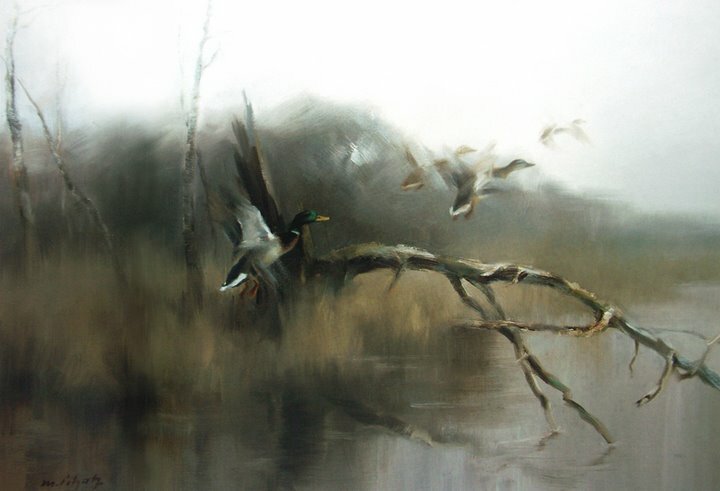 The magic in manfred schatz’ paintings lies in his uncanny ability to capture movement. his brush strokes are bold and are set to canvas with a certainty that many artists never acquire. he does not lose himself in the details of the marginal things, but forces the viewer’s attention on the main motif as he proposes to express it. 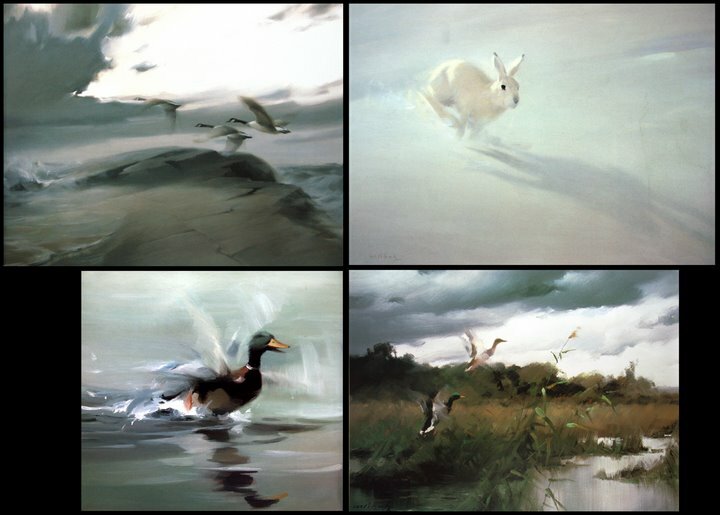 when I first saw his work I thought that he is somehow connected to film design, because his paintings look like moments captured from a nature documentary. they look like they are alive, you expect the frozen movement to continue. 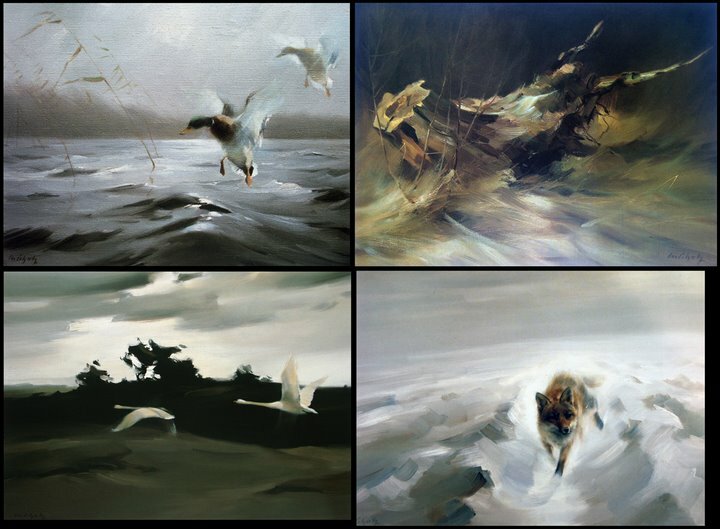 and I felt reminded of tyrus wong’s work for BAMBI, very similar, giving you the feel of a moment. I was able to find two of manfred schatz’ books, they are long out of print. and I treasure them. to me he is the ultimate artist, a film designer and storyteller. Beautifully and insightfully stated..like Manfred Schatz’ work. One of my favorites …always has been ever since I found a book containing quite a lot of his artwork some years ago . Glad to see others think the same . thank you so much, i never heard of this artist and he is really incredible. WOW……beautiful work. Thanks for turning us onto him. I never heard of this guy either. How much photo reference do you think he used? They are amazing! It’s like he invented digital style art… by hand!